SELLinALL Blog: MILLIONS SPENDING MILLENNIALS: MILLENNIALS PURCHASING HABITS - SECRETS REVEALED. Deftly navigating through the corridors of the online marketplaces, millennials are leading to be the highest purchasers of this decade. They are going to rock and roll on the stage of global online marketplace, with their purchasing power of US$.2.5 trillion by the year 2021. Retailers - Be aware, to witness in the next five years the unbelievable changes which you would never have viewed in the past six decades of Baby boomers (1946-1964) and Generation X (1965-1980). 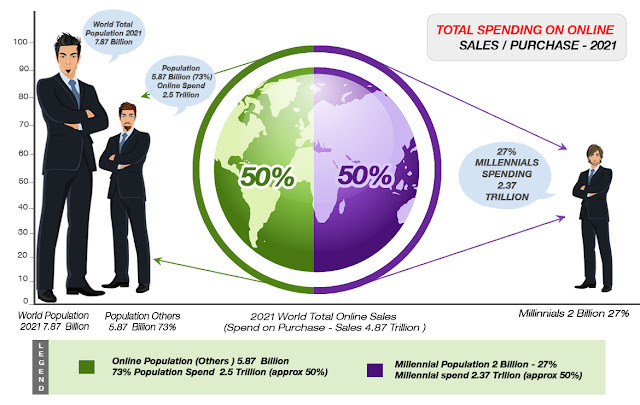 The Tech-Savvy and e-gadgets empowered Two billion millennials, form 27 % of the total global population, Out of the total online sales/purchase figure of 4.87 trillion (projected for 2021), 2.37 trillion shall be spent by the millennials on the online purchase - a whopping 50% (approximately) of the total purchase by the mere 27% millennials. Considering the facts, they shall be the most influentials purchasers of the digitalized era. Out of the total global millennials population, 1.2 billion (60%) live in Asia. 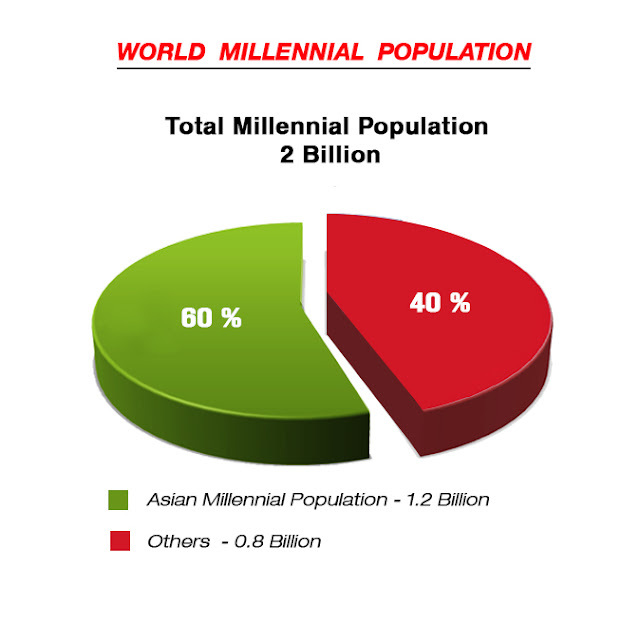 These Asian millennials have a combined disposable income of 6 trillion, which can be spent by them freely and comfortably, being the chief wage earners of their family. In the Asian Millennials population, 80% of them live in the emerging economic nations like India and China, and Indonesia. The increase in wage earnings of the Indians shall be from mere 3% (2017) to 30% and Chinese from 12.9% to 15% in the year 2021. 95% of these techno brats, the Master handlers of the e-gadgets, always been in touch with the online marketplaces. Their ability in handling the gadgets and do seamless operations through their e-gadgets, have led them to jump borders of their countries and become global customers. 63% of the millennials feel the convenience of purchase anytime, anywhere. 60% felt it is easy to have access to the products which are not available offline. 56% have the easy opportunity to make a diverse and wide variety of purchases. 53% said they are making the online purchase because of the availability of heavy discounts and lower prices. What are the factors which influence them towards their online purchase? The emerging social media networks allow the product user personnel to opine on the products they enjoyed or used and make them feel psychologically important. Free shipping of the purchased products by the seller. Curated subscription type offerings - a distinct collection of goods are the main attraction to millennials. 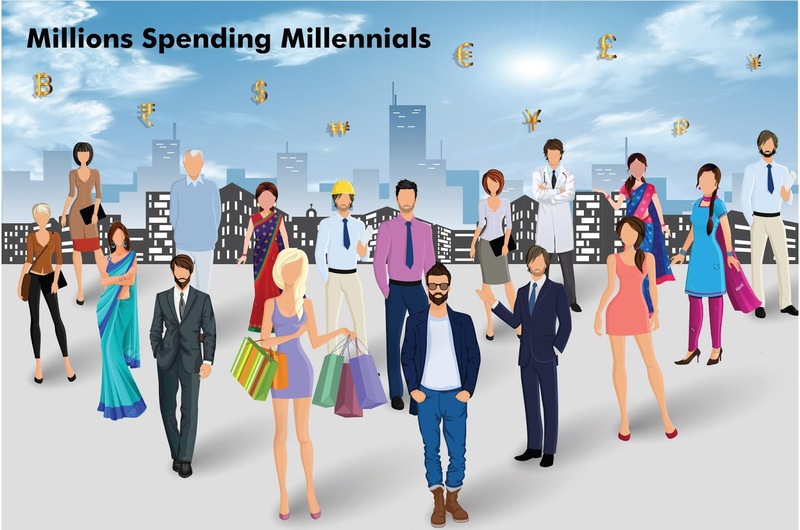 What are their purchasing and spending habits of the millennials? Topping the list of percentage of spending is 32.7 % - towards entertainment and eat out. 26.4 % - others which include 5.4% vehicle purchase, 3.5% Leisure and travels,10.5% savings and 7.1 towards owning the house and properties. 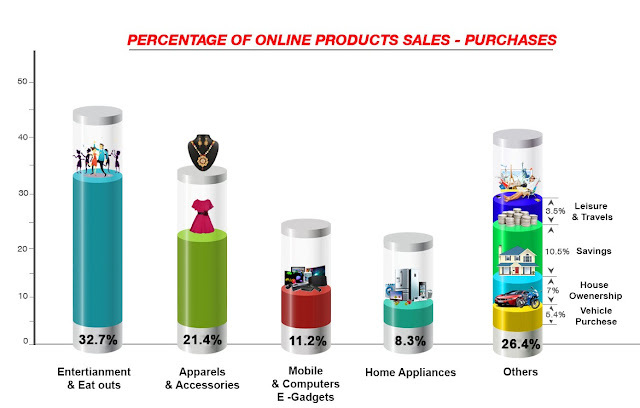 If we delve deep into the spending percentage we come across 40.9% available for the online sellers to encash. Millennials are intelligent purchasers and even though they are price conscious they are willing to pay a premium price if they find the products have certain uniqueness in it; made up of sustainable materials with organic and natural ingredients and of high quality with a higher standard of performance. More bent upon the Artifical Intelligence set up in the field of customers direct involvement (like chatbot), millennials are a lot happier than their parents of gen X. 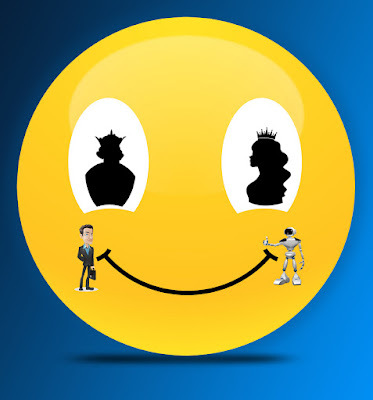 They are super connected through social media and the trendy technological innovations. These extroverted personalities are ready to give their reviews in the social media and to take advantage of latest technological innovations, and discounts offered by the online sellers. They feel and touch their products offline in the brick and mortar stores, compare the prices through their mobile, very well standing on the store's floor and order through online. Dear online sellers, to take up the millennials into your fold be prepared with latest innovations like Chatbot and make use of the Artificial Intelligence and get hold these technological lovers and attract them in their own style. SELLinAll is the one solution which blends the technology and the well ridden known paths and breaks all those hurdles online sellers come across. It unites and makes a seamless integration of various arms of online-selling - Listing, inventory maintenance, selling and shipping and brings forth prosperity to the Online Sellers. Dear Online sellers, by joining hands with SELLinALL, have a head start in facing the Millennial purchasers and from a local seller, become a global online seller. Happy selling! !